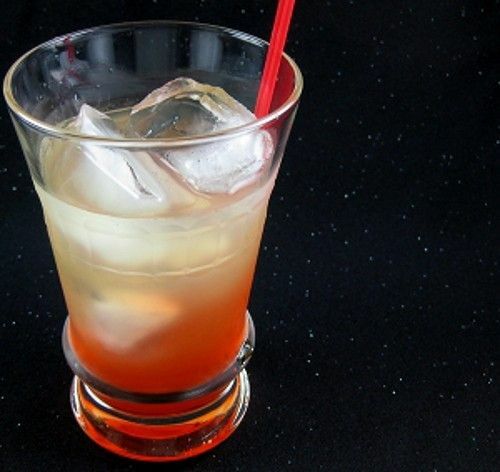 The Russian Monster Tom Collins replaces the gin in a Tom Collins with vodka, swaps out the lemon juice and sugar for sour mix, and adds grenadine. That makes this a much easier drink to pour than the Tom Collins, especially if you’ve already had one. This drink packs a whopping four ounces of vodka, making it a double and then some. Since vodka doesn’t really have a flavor, this one is really just the taste of the sour mix with the grenadine, which you add to taste – and tastes will vary, so feel free to experiment to find just the amount you want to use. Fill a collins glass with ice. Pour in the vodka and sour mix, and then add the grenadine to taste.